One of the more exciting business possibilities available to entrepreneurs on a budget is dinner party hosting. In urban hot spots such as New York City, there are quite a few people hosting dinner parties and making a pretty penny at the same time. The industry is so successful that the city is looking to put an end to the practice altogether for competing so successfully with regular restaurants. You too can start a dinner hosting concern and use it to earn a substantial side income if you’re savvy. First things first, it’s important to figure out exactly how you’ll run your dinner hosting business before you get started. You can choose a dinner-and-a-movie theme, murder mystery parties or high-end affairs with guest chefs. Storyboard how you’ll run dinners and entertain guests beforehand. You can host dinners in your own home or co-ordinate affairs at local restaurants by arranging for group discounts with the proprietors. As you’ll soon find out, there’s more than one business model in the dinner hosting game. Ultimate Book of Dinner Party Questions: Get The Conversation Started is a great resource for dinner party questions. You’ll need to make solid connections with local food purveyors, restaurants, growers and chefs to ensure that your fledgling enterprise succeeds. Locate local vendors and organic produce farmers and set up contracts with them if you’re hosting dinners at your own home or those of others. If you’re planning on setting up trips to local restaurants, get to know the top spots in your area. Also, get to know local chefs that can cater your affairs for a fee. 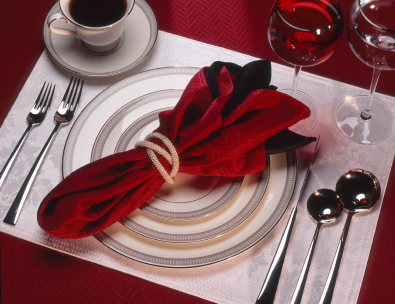 Prior to actually launching your dinner party business, you’ll need to mind the red tape. A business license from your municipality or state is probably going to be required. In addition, valid permits from your local Health Department will be necessary if you’re serving up food yourself. Set up your home office and get your licenses and small business accounting in order. Now’s the time to budget your capital requirements, which shouldn’t amount to more than $1,000 to $2,000. If you’re in a major urban area, chances are you can leverage sites like Social Republic, EatWith or HomeDine to promote your new business. Failing that, you can rely on social media sites like Facebook and Google+ to network and promote your business. You should shoot for a price bracket of $15 to $20 per guest if you’re hosting parties from your own home. If you’re hosting a party with a well-known local chef, between $25 to $100 per guest is possible. You’ll find there’s a bit of a learning curve to throwing outstanding dinner parties. Try out your formula a few times with friends and relatives to gauge their reactions. During these initial tryouts, learn to avoid classic dinner party mistakes and fine-tune your approach. Use surveys and questionnaires to see what people really think. Once you’re confident, you can go live and get into a groove. After a break-in period, you can confidently market yourself to more and more customers. Ultimately, hosting dinner parties as a business has nearly limitless potential. You may choose to go full-time with your business or branch out into catering events. Either way, hosting dinner parties at your home, at clients’ homes or around town is a fairly inexpensive way to start your own business. Making it a sustainable enterprise requires planning, moxie, foresight and a way with people. If that list of attributes describes you, dinner hosting could be a great way to rake in revenue.